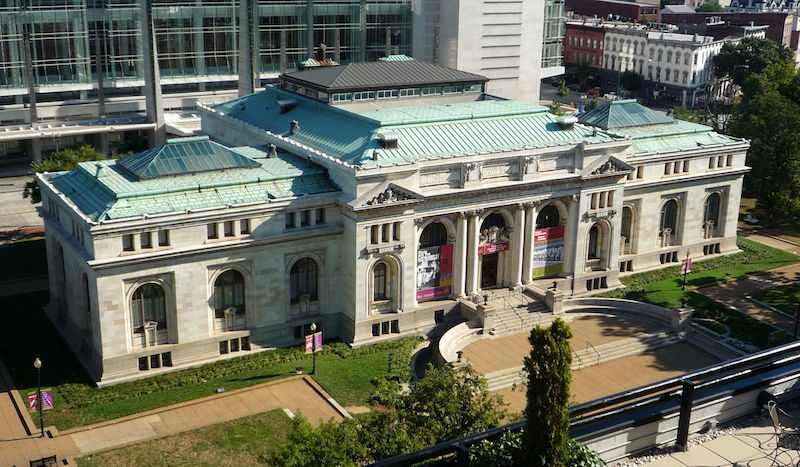 Apple has proposed opening a flagship retail store and events center at Washington, D.C.'s historic Carnegie Library, according to The Washington Post. The new store is reportedly reminiscent of Apple's Union Square store in San Francisco, serving as both a retail outlet for the company and event center where it can host events for locals. The 63,000-square foot Carnegie Library was one of the many buildings built with funds donated by steel tycoon Andrew Carnegie. The building, which was opened in 1903, is historically significant in the nation's capital as it's the first desegregated building in the city. Carnegie Library is publicly owned and funded with taxpayer money raised through hotel occupancy taxes. However, the building's historical legacy and importance to D.C. has made it a difficult development project. As The Washington Post notes, a local history museum only lasted a year at the library, a planned music museum never opened and an International Spy Museum was turned away by the city's historical preservation panel. Local government officials have been supportive of the idea, with The Post noting that an Apple retail presence in the area would punctuate a rapidly developing section of the city. “Apple would be a huge attraction,” said D.C. Council member Jack Evans (D-Ward 2), who represents downtown. Evans said he first heard about Apple’s idea for the store earlier this year and that the addition would accelerate momentum for an area that is quickly adding new apartments, shops and office buildings just south of the Walter E. Washington Convention Center. Of Apple's handful of stores in D.C., its Georgetown store is the closest to the Carnegie Library. Across the Potomac, the Cupertino company also has Apple Clarendon and Apple Pentagon City. The Clarendon store will be having its grand reopening on September 24, while the Pentagon City store will close on September 25 for remodeling. Apple has a good track record of working with sensitive spaces. Would you prefer the Spy Museum? I'd like to see this happen too.....I've not been to the others, but accessibility at Pent City and Tysons is simply nightmarish. Especially Tysons....hopefully this one would be easier to access for DC residents. If I lived in DC, the last thing I'd want to do is deal with 395 to get to the Pent City location. Edit: Accessibility of the DC stores makes me come up with excuses to go to Baltimore to hit up the Towson location. The easiest Apple store to access by car is the one at Montgomery Mall. It's currently closed for renovation and a long-overdue expansion. It's right next to the interstate (I-270 spur at Democracy Blvd) and parking is easy. It'll be open again in a month or so, I believe. At about three times its old size. Washington DC is full of historical buildings. But the city doesn't exist just as a tourist destination for school trips. It's also an actual city where people live and work. DC puts an enormous amount of effort into preserving historical structures while giving them modern uses. Apple's minimalist aesthetic really allows the historical detail to shine through, so I think that this is an excellent use. And this store will be the an excellent location, adjacent to a huge population center and commercial district, and the first Apple Store in the District that's near Metro. But how do you get to Carnegie Hall, Dougal? Versus it being vacant and costing taxpayer's $ vs getting revenue out of it? It's a freaking building not sacred land. No one is talking about razing it or changing its nature. The building isn't going anywhere, it will just be put to use. What is so horrible about that? It's not unique for historic buildings to be repurposed from their original use to save them from the wrecking ball or deterioration. Not every historic building can or should be turned into a musuem, and in DC, there already is a museum for just about everything. A couple of advantages to Apple taking it over. 1. They will honor the original architecture and if anything improve it with fidelity. 2. Their use as retail and events is low impact should the building ever be repurposed. 3. They lease facilities not own them so they're 2-10 years from being asked to leave in case there is a legit objection. 4. They bring traffic so more people will enjoy this historical asset. 5. They will generate massive sales tax revenue well beyond any other possible use. The proposed store is a couple thousand feet from the White House. They could have a dedicated shuttle to and from the Metro and therefore bus stops, offsite parking, and tourist areas. There's an Apple Store in the Louvre. It's hard to get more historic than that. This is incredibly high-risk/high-reward. The rumors were that an Apple Store was to be located in the new City Center development, and that store (unlike every other ultra-high-end store there, and there are plenty) would have been mobbed. It would have been the perfect, no risk, location - completely surrounded by disposable wealth. This location, only a few blocks away, is smack-dab in the middle of one of busiest traffic "squares" in the city. There's nothing else on that plot. As noted elsewhere, it's at the edge of walking traffic, and with the Apple name, would like draw that traffic; it's also a beautiful space that deserves better. But surrounded by loud, honking traffic. It seems like such an odd location. Of Apple's handful of stores in D.C., its Georgetown store ('http://www.apple.com/retail/georgetown/') is the closest to the Carnegie Library. The Georgetown Store is the only Apple Store in D.C., which I guess does make it the closest.